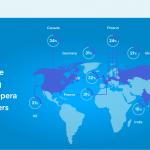 Opera 15 to be even better! 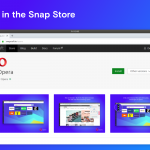 Short after Opera 15 was released, Chromium was updated to 1500.72, so we will publish a minor update to Opera 15 on opera.com and autoupdate servers soon, but you can get it here earlier. It also fixes a minor issue in Opera installer, which deleted existing Opera shortcuts from desktop instead of changing them, so please upgrade Opera Stable with this build and let us know if everything went ok with it.